When my husband and I moved from Austin, Texas, to San Francisco, California, our driving habits shifted dramatically. We went from driving every day to rarely pulling the car out of the garage. The kicker is that we were paying for full coverage on a car that mostly sat idle. We needed to find another auto insurance plan. I spotted a billboard advertising Metromile, a pay-per-mile insurance provider, and started researching usage-based insurance. The first usage-based insurance programs started roughly a decade ago when mainstream providers began offering discounts based on an individual’s driving habits. Since then, new companies, such as Metromile and Root, adopted the model as the core of their business. (Check out our review of Root and this handy comparison chart.) These newcomers offer plans tailored to individual driver behavior, rather than relying on aggregate driver data. For drivers with low mileage and safe driving habits, usage-based insurance can be a more cost-efficient option than traditional plans. 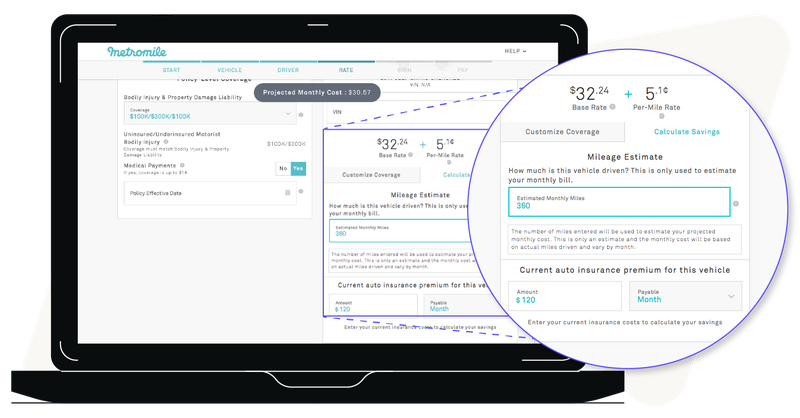 Metromile applies a usage-based insurance formula based on how many miles you drove the previous month. The company starts with a base rate determined by traditional data such as what kind of car you drive, your age and driving history, and credit score. But Metromile then adds their special sauce: your actual mileage multiplied by a cost-per-mile fee. The result is simple: if you drive less, you pay less. For drivers with low mileage and safe driving habits, usage-based insurance can be a more cost-efficient option than traditional plans. Metromile’s pricing is directly linked to mileage driven. Users pay a monthly base rate plus a per-mile rate. 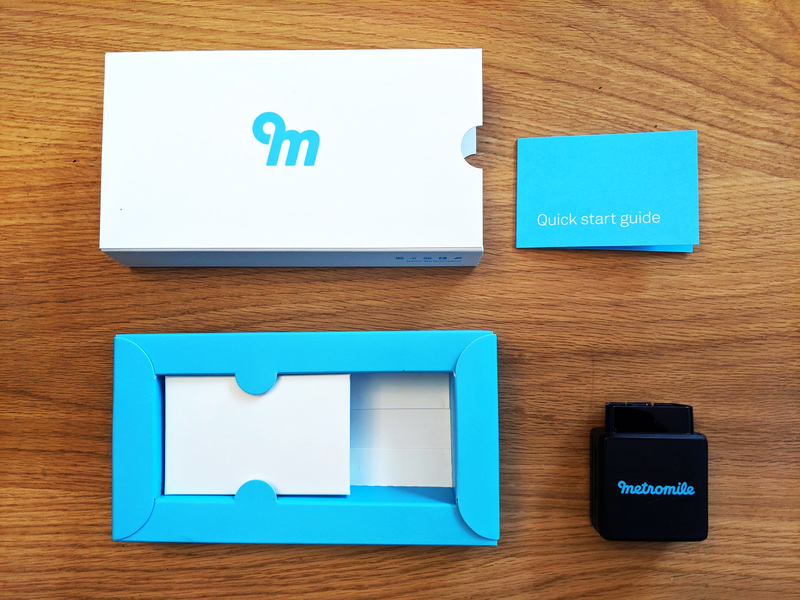 Metromile tracks your mileage using a wireless device that plugs into your vehicle’s diagnostics port. Metromile does not monitor a driver’s behavior (aside from miles driven) to calculate his or her rate. So if you’re inclined to hard braking and swift turns, Metromile may be a better option for you than Root, which takes those actions into consideration. 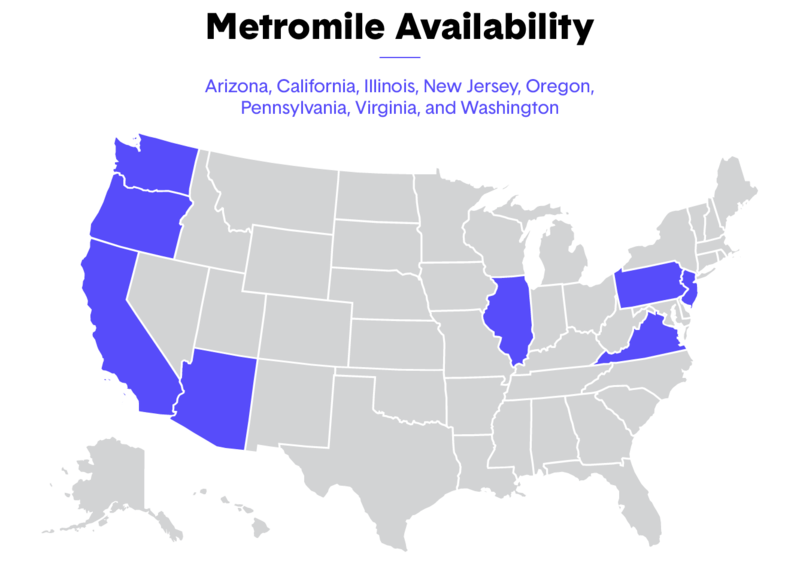 Metromile is available in Arizona, California, Illinois, New Jersey, Oregon, Pennsylvania, Virginia, and Washington. For us, switching from a traditional plan to Metromile cut our monthly fee from $120 to less than $50 for the same coverage. Granted, our rate is based on driving roughly 360 miles each month, which is pretty low. It’s also worth mentioning that Metromile originally relied on National General Insurance to underwrite its policies and service claims. User reviews were not great, and in 2016 Metromile acquired another insurance carrier to bring everything in-house. Now they handle all policies and claims internally. The first step is to request a quote. Rest assured that checking your rate won’t affect your credit score. You’ll be asked to enter personal information, like your address and date of birth. Then you’ll need to enter basic information on the vehicle you want to insure, such as the year, make, model, and ownership status. Next, you’ll be prompted to estimate your monthly mileage. With pay-per-mile insurance, it’s important to provide an accurate estimate. It may not be worth switching from a traditional plan if you’re clocking a lot of miles in your daily commute. Don’t stress over the occasional road trip — Metromile maxes out daily mileage at 250 miles (or 150 miles for folks in New Jersey, lucky you!). You’re nearly off to the races! Now you’ll need to enter the details for the primary insured and any secondary drivers. Nothing new here. 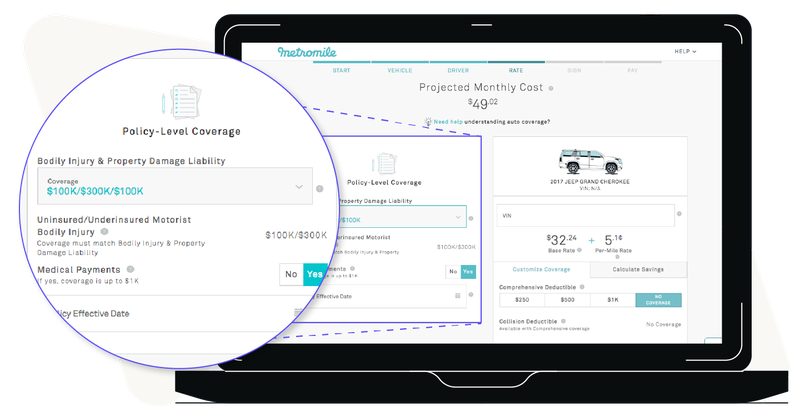 Last year, Metromile introduced AVA, a service within their mobile app that uses artificial intelligence to collect details and issue payments when you file a claim. 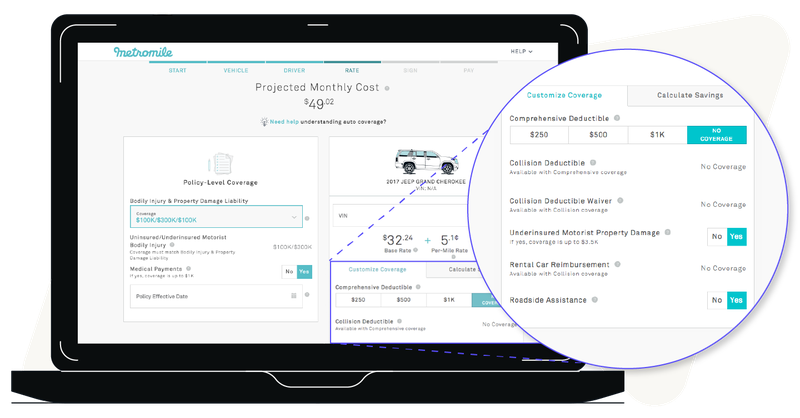 Using data from the Metromile Pulse sensor that's plugged into your dashboard, AVA can determine if the details of the claim are accurate, guide you through submitting photos as proof of damage, and help get your payment as soon as possible. If there's a snag, AVA connects you to Metromile's in-house claims team. Similar to a traditional insurance plan, you’ll need to select a level of coverage. If you’re confused or need more information, click on the question mark icons next to each field. The explanations are impressively helpful. You also have the option to select add-ons, such as comprehensive insurance, rental car reimbursement, and roadside assistance. At this point, you can use the Calculate Savings tab to compare your current plan with Metromile’s estimate. It’s a quick way to determine if you’ll actually save money on their plan. You’ll also see your estimated base rate and the per-mile rate. If you opt to proceed with Metromile, you’ll be prompted to review your plan and enter your payment details. You’ll also be asked for your address so the company can ship you its mileage tracking device, the Metromile Pulse. Your device should arrive within five to seven business days. A nice perk is that you’re not charged for mileage during this period. Once the package arrives, you’ll find a quick start guide and the Pulse device. Once I found the OBD-II port, the installation was simple. If you’ve ever plugged in a lamp, you can handle it. A small red light goes on to let you know it’s connected. You’ll have to make a short trip to calibrate the device’s GPS, and then you should be good to go. As the last step, you may want to download the Metromile app for easy mobile access to your account. The app has some handy features, such as up-to-date billing information, a car locator for those of us who can’t remember where we parked, and a street sweeping notification (a feature that would have saved me from a parking ticket just last week). The Pulse is GPS enabled, but you can opt to disable the storage of location-based data if that sort of thing makes you uncomfortable. Just note that you won’t be able to use app features that rely on location-based data. Overall, I’d say switching to Metromile was straightforward and painless. You can complete the whole process without ever picking up the phone. I prefer to do most things online, so not having to go through an agent was a relief for me. However, I did have a few questions specific to this review and found their customer service to be quick and responsive. Of course, the true test comes with filing a claim, which I hope I won’t have to do anytime soon. How Does the Metromile Pulse Work? The Pulse is powered by telematics technology, which uses your GPS location to record your daily mileage, decode Check Engine Light readings, and act as a locator device if you forget where you park. You keep it plugged in all the time, but there's no reason to worry about it draining your battery. It doesn't have that kind of power. And if you're concerned about the GPS tracking part, you can disable that in your account settings.